Vibrant fruit, delicious sandwiches, lip-smackingly good biscuits and yummy sushi equal heaven for the taste buds. My daughter and I are big fans of all of these foods – especially the sushi. Combine this enthusiasm with endless play opportunities and I think we’ve hit a toy goldmine. I’m speaking of the remarkable Material Munchies from Life’s a Stitch. 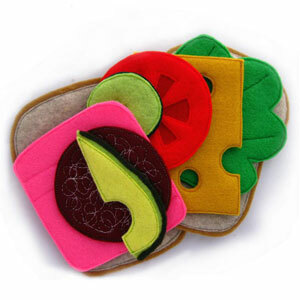 They’re play food is handmade in the New South Wales Blue Mountains from a fusion of wool, acrylic, cotton and viscose. 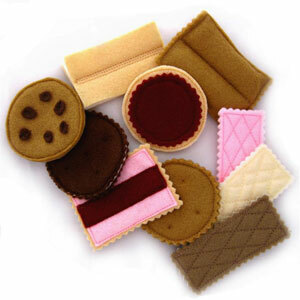 High quality craftmanship, soft, tactile and colourful, the Munchies are multifaceted as well. 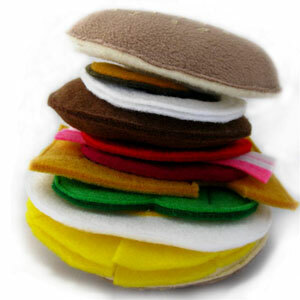 For instance, the sandwich pack comes with ten ingredients that can be used in any way the imagination sees fit. How about a beetroot and avocado sandwich? 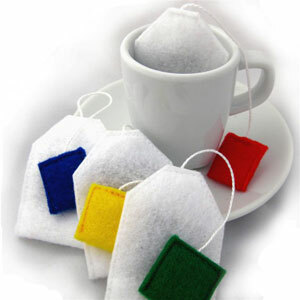 Grab the Teatime Tea Bag Pack (I love this set) with its four teabags, the biscuit set with ten different biscuits and let the tea party begin. 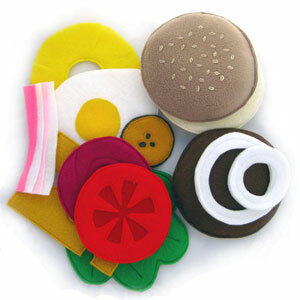 The cooler-than-ever Roll up, Roll up Sushi Pack includes everything for your preschooler to create a sushi masterpiece. 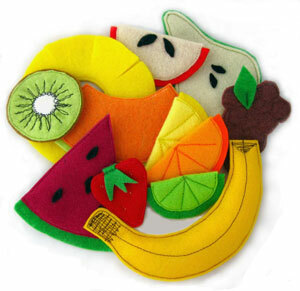 To have some fun and impart some good food knowledge to your kids, go to Life’s a Stitch webshop. Prices range from $10 to $40 plus postage.